Boost your health and vitality daily with a constant supply of fresh wheatgrass. 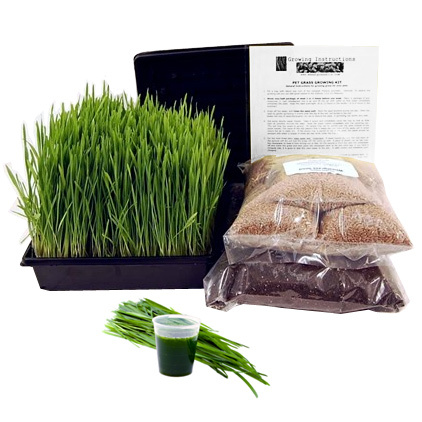 The wheatgrass kit contains all the ingredients you’ll need to grow your own nutritious wheatgrass. Easy and uncomplicated growing instructions will guide you in sprouting and planting your own tray. Since we grow wheatgrass in trays it requires minimal growing space and will grow indoors making it perfect for any home or lifestyle. Grow your own wheatgrass - Get your natural daily fix when and whenever you need it.